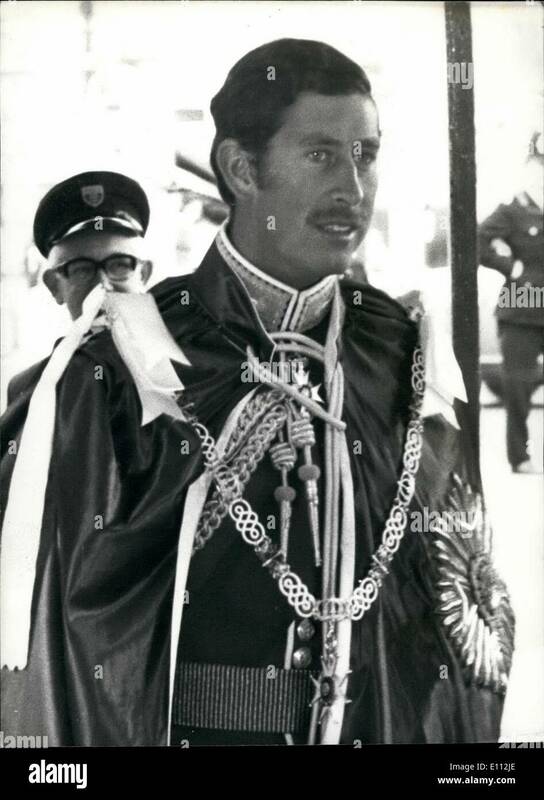 May 05, 1975 - The Queen Installs The Prince Of Wales As Great Master Of The Most Honourable Order Of The Bath: H.M. The Queen today installed the Prince of Wales as Great Master of the Most Honourable Order of the Batch in Westminster Abbey. It was a doubly historic occasion, since not only does it mark the 250th anniversary of the order created by George 1 - but it is the first time a sovereign has installed an elder son as head of the Order. Photo shows The Prince of Wales (without his beard) arrives for today's ceremony at the Abbey.